The Nike Hyperdunk 2014 debuted earlier this month, and we&apos;ve already seen some standout colorways including one done in a "USA" theme for the 2014 FIBA World Cup. 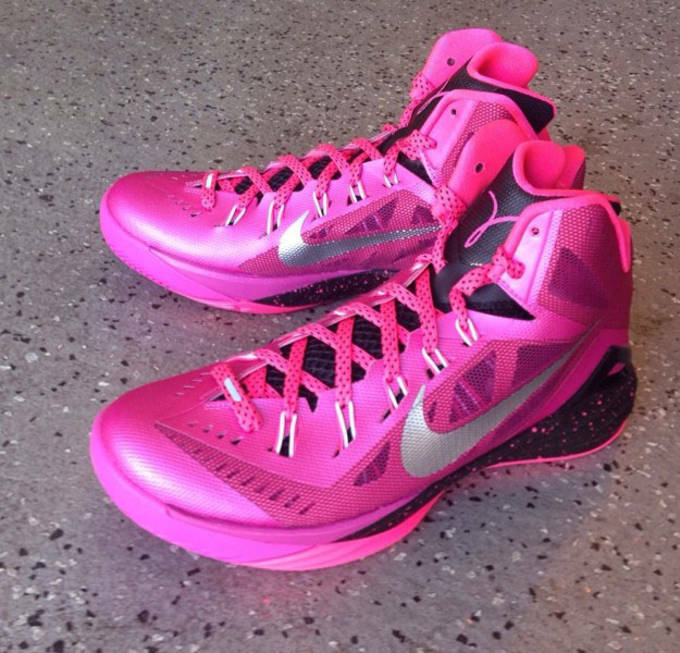 October is Breast Cancer Awareness month, and Nike&apos;s always looking to help out the cause as we get our first look at the Nike Hyperdunk 2014 "Think Pink". 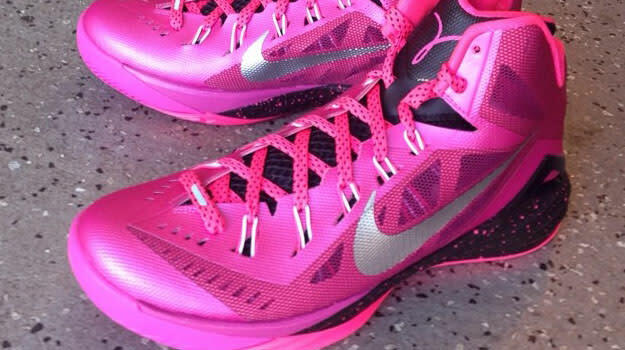 Supporting Beast Cancer awareness has been a staple for Nike as they&apos;ve released countless pink shoes over the years. Their inspiration came from Kay Yow, former North Carolina State women&apos;s basketball head coach for 35 years, who had a long fight with breast cancer and passed away in early 2009. Nike&apos;s been a strong supporter of the Kay Yow Breast Cancer Awareness Organization, and for this year rolled out these "Think Pink" Hyperdunk 2014&apos;s. The shoes feature a full pink upper, with a mix of black and silver through midsole and branding and is of course finished with the Kay Yow logo on the tongue. No official word on when these will hit retail, but there are reports of them arriving at select retailers so keep it locked for further information and help support a great cause.